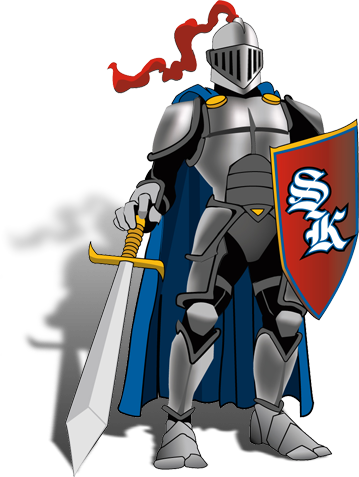 This year’s September and October SuperKnights are Axston Squire, Jocelyn Mendez, Driggs Ellison, Ella Peterson, Alexa Child, Tommy Wilde, Julia Oberg, Coleman Jarvis, Warrick Small, Elizabeth Hogelin, Eli Whiting, and Edith Knoebel. They are all so excited to be SuperKinghts! I went and interviewed Axston Squire, Coleman Jarvis, and Edith Knoebel. I asked Axton, Coleman, and Edith if they were surprised that they got a SuperKnight award. They all replied by saying, “Yes very surprised. We didn't think we were going to get it.“ Axston added on with, “I was very surprised. I feel like my classmates should have gotten it because they work harder than me and they deserve it more than me.” I then ended the conversation by asking what their favorite part about receiving a SuperKinght award was. Edith replied by saying, ¨Getting able to be recognized by every student was my favorite part!” I also asked Coleman Jarvis and he said, “I really like all of the nice teacher notes they gave!” This is an amazing opportunity for all the students to get recognized and feel good about themselves!